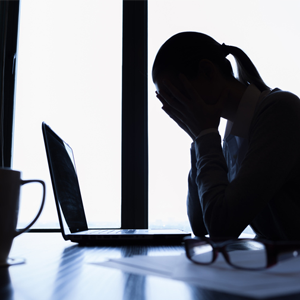 Statistics show that one in four South Africans in the workplace suffer from depression. Harambee Youth Employment Accelerator is a not-for-profit social enterprise with extensive experience building solutions and innovations that can solve the youth unemployment challenge at scale. This is done by partnering with business, government, young people and many others who are committed to results that can work. These seven insights are drawn from Breaking Barriers, a quarterly analysis that draws on data gained from our engagement with over 450 000 young work-seekers who are at risk of sustained, long-term unemployment. Harambee uses this research to develop insights and drive interventions that can more effectively transition young people into jobs and address the global challenge of youth unemployment. We need to focus less on prior work experience and more on work readiness – making sure a young person is 'ready' for the world of work and can succeed. This is about more than just hard skills – it is also about the behaviours, socialisation and understanding that will allow a young person to succeed in a first job. 7. Young women pay a 'gender penalty' in seeking employment. That 'penalty' takes the form of the unpaid care work that many young women are expected to perform, such as looking after children or taking care of the household, which eats into the time they have available to look for work, or limits their flexibility to secure and attend job interviews. Maryana Iskander is the CEO of the Harambee Youth Employment Accelerator.